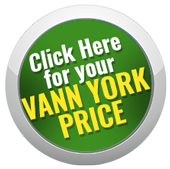 Vann York Nissan offers a range of genuine Nissan parts and accessories, all at affordable prices so you can order all the components you need to safely complete that maintenance job this weekend. If you prefer to leave the part installations to our dealership, simply make an appointment online with our service professionals, we only use genuine parts during your service to help ensure your ride is running smoothly and to maintain your vehicle's resale value. Some of the parts our technicians install even come backed by an impressive warranty, contact us to get all the details now! Our Nissan dealership has implemented a multitude of practical specials for you to take advantage of, so be sure to check on our website for any money-saving offers before using our online form to order the parts you need. Should any questions arise during this process don't hesitate to reach out to our parts department staff, we're always happy to help and can't wait to speak with you! If you prefer a more hands-on experience we encourage you to visit our High Point, NC dealership, we're just a short ride from Winston-Salem and enjoy long business hours.